Former India captain Sourav Ganguly today said that he was "desperate" to become the national coach but ended up being an administrator. "You should do what you can and not thinking about the outcome. You never know where life goes, you never know where life will take you. I went to Australia in 1999, I wasn't even the vice-captain. Sachin (Tendulkar) was the captain and in three months I became the captain of India," he said. "When I got into administration, I was desperate to be the coach of the national side. (Jagmohan) Dalmiya called me and said 'why you don't you try for six months'. He passed away and none was around, so I became the CAB president. People take 20 years to become president. You have to live for the day," Ganguly said while speaking at the India Today Conclave East 2017. He also spoke about his controversial face-off with coach Greg Chappell and why he called it quits. One of the most successful Indian captains Ganguly was dropped in January 2006 but made a comeback against South Africa in the Johannesburg Test in December and went on to score an unbeaten 51. In the home series against Pakistan in 2007, Ganguly notched up a century and a double hundred before retiring against Australia in the Nagpur Test in November 2008. "As I announced retirement in 2008, Sachin came at lunch and asked me 'why did you take such a decision?' I said because I don't want to play any more. He then said 'this is the best time to see you play in such flow. Last three years had been your best'. "I retired because at some point you've had enough. The reason is not because you have had enough of playing the sport but because you've had enough of getting selected all the time. I remember those days and think individual sports is a lot better when you are not dependent on team." 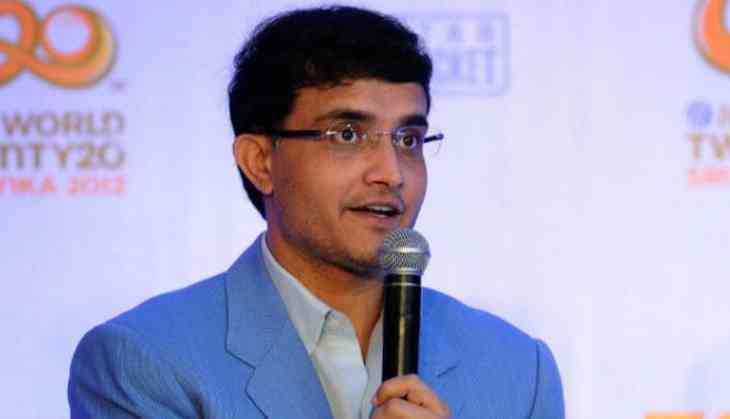 Ganguly said the biggest problem in a team sport is the fact that one gets selected by others, so even if one works well, he/she may not get a place in the side. "I often keep telling that Leander (Paes) plays this way because he rules his life. On the flip side if you go down ladder it is difficult to come back. Being dropped and getting selected are part and parcel of every sport. Greats like Diego Maradona, Rahul Dravid all made way for someone else. They could have played more," the 45-year-old said. Terming the Chappell saga as an eye-opener that made him a better person, Ganguly said: "Before that, from 1995-2006, the graph was only up. I never missed a series. I was captain of India for six years. The world was at my feet till 2006. "Not many captains in the world would go from not being captain to not even being in the side." He also gave example of how current skipper Virat Kohli treats predecessor Mahendra Singh Dhoni. "You look at Dhoni. He is not the captain of the team but look at the way Kohli looks after him and they go about their job.